If you are new to slots or casino games, then you may see the acronym ‘RTP’ being bandied about, and be confused about its meaning. This article aims to go some way in un-shrouding the mystery behind RTP, and how it is useful for bingo, slots and casino players. RTP stands for ‘return to player’ and is usually expressed as a percentage, such as 97.8%. The RTP of any game is the expected return to the player if they play a certain game for a reasonably lengthy period. For example, European Roulette has an RTP of 97.3%. This means that if someone begins a session of European Roulette with £100, they should reasonably expect to have £97.30 (£100 x 97.3%) remaining after an extended period of play. You may ask yourself why anyone would play roulette if they are only ever going to end up with less money than they started with. The answer is because of the randomness factor. ALL gambling games are random, which means there is always a chance that a player will win more than they lose. They may double their money within ten minutes, or they may lose everything in the same time period. Winning at bingo, slots or casino games is purely down to good fortune and nothing else. So, what is the point of RTP, you may ask? RTP is actually a measurement of the probability upon any one turn of the wheel or card or reels that the player will win. Returning to our example, upon any one spin of a roulette wheel there is a likelihood of 97.3% that the player will win and a 102.7% chance that the house will win. You may find this confusing, as if a player bets a single chip on a single number in European Roulette their chances of winning are 37/1 or 2.7%, and not 97.3%. However what must be factored in is the fact that if the casino wins it gains one chip, and if the player wins they get back thirty-six chips. If you want to do the maths it’s 37/1 x 36 chips = that magic figure of 97.3! The main purpose of RTP is to compare games to see which have the best chances of the player coming out on top. The closer the RTP is to 100%, the better the chances for the player. For example, while European Roulette has an RTP of 97.3%, American Roulette has an RTP of 94.74% making it less favourable for the player. This is because an American Roulette wheel has a zero and a double zero. Baccarat: Banker: 98.94%; Player 98.76%. Blackjack: Single Deck: 99.74%; Six Deck: 99.16%; Eight Deck: 99.13%. Craps: Pass/Come: 98.59%; Don’t Pass/Don’t Come: 98.64%. Roulette: European: 97.3%; American: 94.74%. The RTP for bingo is difficult to calculate. 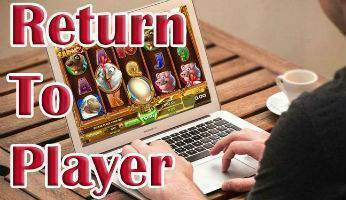 The expected return to player depends upon the number of players playing any one bingo game. Obviously, if there is only one player playing, then the RTP is going to be 100%. If there are one hundred players playing, then the RTP is a lot less! Unlike casino games, there is always a guaranteed winner in bingo. Given that bingo is completely random, every player has an equal chance of winning. To calculate the RTP of any bingo game, subtract the prize from the total ticket price, then multiply this by the number of tickets bought divided by the total number of tickets bought by all players. All slots games vendors are required to publish the RTP of each game they produce. The RTP of a slot depends upon a number of features, including the paytable, the use of wild symbols and scatter symbols and any special features. Generally, slots have an RTP of 97% or less (and sometimes much less). As with casino games, the higher the RTP the more chance there is of the player coming out on top in the long run. Remember that RTP is simply a comparison tool, and not a guarantee. If you have a £100 and play a slot with an RTP of 96% it’s unlikely that you’ll have exactly £96 after an hour or so of play. It’s spread across the game on every site it appears and every single person playing and every spin of the reels. It’s always best to look for slots with high RTPs. Here is a quick list of some slots with high RTPs. If you don’t want to look up the RTP of every slot you are thinking of playing, try and stick with NetEnt’s slots. These typically have decent RTPs and are usually also the most entertaining. Remember, no matter the RTP of any bingo, slots or casino game nothing is ever guaranteed. Even playing a game with a high RTP could mean you lose all your money very quickly. You may also though secure a nice win – it’s all down to luck in the end!